Donald Dione is the author of The HappyFeet Kids book series. These books are the perfect way for preschool age kids to learn soccer skills. These stories engage children's imaginations and retain their interest in an age-appropriate manner. The kids imitate the characters in the stories while acting out these adventures during their playtime. The soccer skills, balance, coordination, and overall gross motor skills they develop by doing this are a fantastic byproduct. 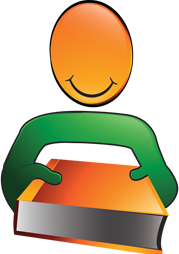 Don has been the owner of HappyFeet of South Central CT since the summer of 2013. He has developed the stories for these books with the kids he has coached over the years. He has found that the kids love going on the imaginary adventures and become completely engaged in the stories. The books are a tremendous way to continue these stories at home, and so, Don is thrilled to offer them. Before becoming an owner, Don was a biomedical engineer and performed heart research at Yale University, School of Medicine for 18 years. Don also has a Master’s Degree in Sports Science with an emphasis in Sports Coaching. He has been a youth soccer coach for over 20 years and has several advanced coaching licenses. Both of Don’s parents were teachers and they instilled in him a love of both learning and educating. The HappyFeet Kids Make New Friends is an animal/sports adventure book for pre-school children written by Donald Dione and illustrated by Eminence System. Socceropolis is home to the talented team of the HappyFeet Kids and Coach Jan. Each of the HappyFeet Kids has a pet bobcat named Bob. Bob the Bobcats help the kids learn and practice their soccer moves, and the kids are helping their Bobcats to move around. The Bobs weren’t always ball-shaped. They were ordinary bobcat kittens until one of them discovered a brightly shining, tiny ball floating in the Legends River. Being a hungry kitten, he grabbed one of those balls and ate it. He loved it! Then he told the other Bobcat kittens about those tiny, delicious balls. Every one of them swallowed a tiny ball, and then they all took a nap. What they discovered when they woke up was very surprising indeed. In The HappyFeet Kids Make New Friends, Dione introduces each of the HappyFeet Kids. He also gives background information on how the Bob the Bobcat balls came into being and became the official balls for the HappyFeet Kids. I had run across those balls when I reviewed another HappyFeet Kids book and had been a bit confused about them, so this book was a great help in explaining the relationship between those baby bobcats and the kids. Dione’s book is an awesome way to instill a love of sports in kids, no matter how young they are or where they live. I also appreciated the ethical attitude Dione cultivates in his kids, who also share that they love animals. How do you help baby bobcats who’ve swallowed soccer balls? You help them move around, of course, and beginning, intermediate and advanced soccer moves are all shown both in the story and in the appendix. Eminence System’s illustrations are boldly and brightly colored and work so well with the story line. This book is a perfect selection for story time or for a new reader to try on their own. The HappyFeet Kids Make New Friends is most highly recommended. The HappyFeet Kids Make New Friends by Donald Dione is a soccer-oriented picture book for youngsters (think ages 2 ½ to 5). There is an introduction where the child characters describe themselves and what they like, followed by a story of bobcats who get turned into magical bobcat soccer balls. Soon the children come along and notice these strange creatures, and try to help them. But notably they can’t touch the balls by picking them up, much like the rules of soccer. The kids become so attached to their newfound friends that the magical bobcat soccer balls start helping them with things such as climbing a tree, planting a garden, and so forth. More adventures await them all day as they play together. The last page of the book describes basic soccer playing skills, set to the tune of—you guessed it—moving the magical “bob balls”. I found The HappyFeet Kids Make New Friends by Donald Dione to be a charmer, filled with bright colors and detailed illustrations. The animated new friends help young readers understand the basic proper moves of soccer balls, in ways perhaps they can grasp more easily than simply trying to memorize soccer rules. This book should help kids become excited about the sport of soccer and provides a very positive approach in making friends, helping others, and playing the game. 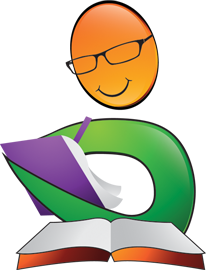 This book could also be enjoyed by older readers, but the author has successfully targeted the younger group. Highly recommended. Under the guidance of Coach Jan, six young soccer players learn the joys of competition and sharing. When the HappyFeet Kids discover a litter of baby bobcats who have eaten sparkling balls from the Legends River in the Magic Forest, the game of soccer takes on a whole new meaning. The bobcats, all named Bob, transform into actual soccer balls with heads and feet, forcing them to rely upon the six members of the HappyFeet group. The HappyFeet Kids manage to somewhat tame their new friends with an assortment of basic soccer moves that are highlighted at the end of the book. 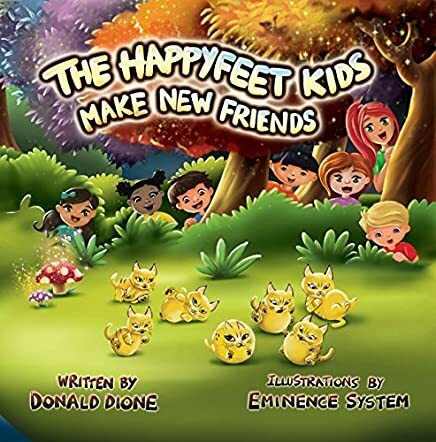 The HappyFeet Kids Make New Friends by Donald Dione combines a colorful story book with a solid lesson in physical activity that proves to be a wonderful union of academia and physical exercise. The story highlights the importance of teamwork as a tool for success. While The HappyFeet Kids help the Bobs with a transition into new life, the Bobs also assist the Kids with a combination of activities. The sense of belonging to a group is supported by the strong bond between the six friends and their coach. In the uncertain world in which we live, it is important for children to feel needed and wanted, and I believe The HappyFeet Kids provide a much needed service in that respect. I particularly appreciated the visual examples of mentioned soccer moves. The illustrations by Eminence System are vivid in color and animation, certainly checking a very essential box in successful children’s reading material. The HappyFeet Kids Make New Friends is written by Donald Dione. 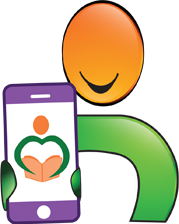 It’s a companion to the HappyFeet Kids soccer program for young kids, which uses story time with the soccer ball to help preschoolers learn soccer and life skills. In the book, this fun approach is emphasized. Six diverse children (from the US, India, Mexico, and China) live and play together in the pleasant, peaceful land of Socceropolis with their coach, Jan. They soon encounter some truly unique friends—a group of little bobcats who swallowed magical balls and have now swelled to become soccer balls with fur and tails. The grumpy Bobcat-Balls, called The Bobs, have much to teach the eager children about soccer and teamwork. Donald Dione’s book is a really good, fun, educational tool. Everything that would catch a child’s eye and make them feel included is present—detailed illustrations, imaginative concept with the bobcat soccer balls, hands-on activities, even a personalized place in the front of the book for the child reader to write their name and become one of the team. If you’ve got preschoolers and want to get them involved in sports, this is a great place to get their feet wet. The HappyFeet Kids Make New Friends is completely inviting, a quick and easy read-aloud, and encourages kids to think of the soccer ball as their close collaborator and friend. The wonderful little Bobs are a clever idea that will wow kids as the furry friends interact with the children, help them, and at the end of the book practice basic soccer skills with them. What a wonderful concept combining sport and literacy! After Bob the Bobcat finds a magic, sparkly ball in the Legends River, he eats it. He and his family become magic soccer balls. The HappyFeet Kids Make New Friends is a fun, easy-to-read story about some children and their coach Jan who find magic soccer balls and begin kicking them around. Author Donald Dione has combined his love for soccer with writing and created a children’s picture book that should get readers up out of their seats and kicking a soccer ball. This wonderful story introduces some soccer moves to children and hopefully they will get up and try them out. The HappyFeet Kids Make New Friends is an imaginary fantasy that introduces children to soccer techniques that should improve a reader’s soccer skills. The book may also encourage soccer players to read since it discusses sports. 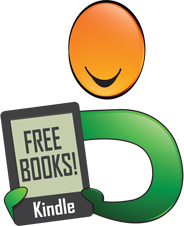 Author Donald Dione has written a wonderful story that combines a sport with reading. I love how the type on page 14 gets bigger to demonstrate swelling. Very creative technique. The full page illustrations are very well done. The illustrations by Eminence System are full of colorful tones and the children’s portraits show emotion and look believable. The bold, colorful artwork will definitely draw young readers into the book and curiosity will keep them reading it. This book would be a wonderful addition to schools, libraries, and homes. I think parents, teachers, and coaches will enjoy reading this book—and practicing the soccer moves illustrated in the story!